A national competition was launched yesterday to reward new ideas and approaches for improving sustainability and resiliency efforts in the water and clean tech industries. Sponsored by Veolia, The Water Council and the Wisconsin Economic Development Corporation, the new program is called “Pow! emPowering Opportunities in Water” and offers cash prizes, mentoring opportunities, funding for tuition/training expenses and offices for one year. The Water Council is now accepting applications for its Pilot Deployment Program which is designed to help transfer research from the lab with a working prototype, to real world pilot project demonstration sites for practical application. The Program will support businesses of all sizes by acting as a launch pad to validate and commercialize products that are near market introduction. In August 2015, The Water Council announced a partnership with the Milwaukee Metropolitan Sewerage District (MMSD) and Fund for Lake Michigan (FLM) that would provide $600,000 in joint funding over two years to advance new clean water technologies through the Pilot Deployment Program. The Program was launched in early 2015 through a Clean Technology & Innovation grant from Wells Fargo. With a membership that includes over 170 water technology organizations, The Water Council has unique resources to support technologies related to water quality and quantity. The Program will work with Water Council member companies of all sizes who have existing prototypes addressing these issues. Applications for the Pilot Deployment Program are open through October 30th. Click here to apply. WEFTEC15 will host the first ever sewage brewage SMACK DOWN as the two titans of treatment enter the ring at WEF’s Innovation Pavilion on Sept. 29 at 4 PM. The Beast of the East—Milwaukee Metropolitan Sewer District—takes on the Best of the West—Oregon’s Clean Water Services in a duel to the last drop. The first Water Venture Investment Conference will begin with an evening reception on Sept. 29 in Chicago, where guests will have the opportunity to meet 15 federally funded water startup companies. The following day, join thought leaders, investors and startup companies for training sessions and connection opportunities. 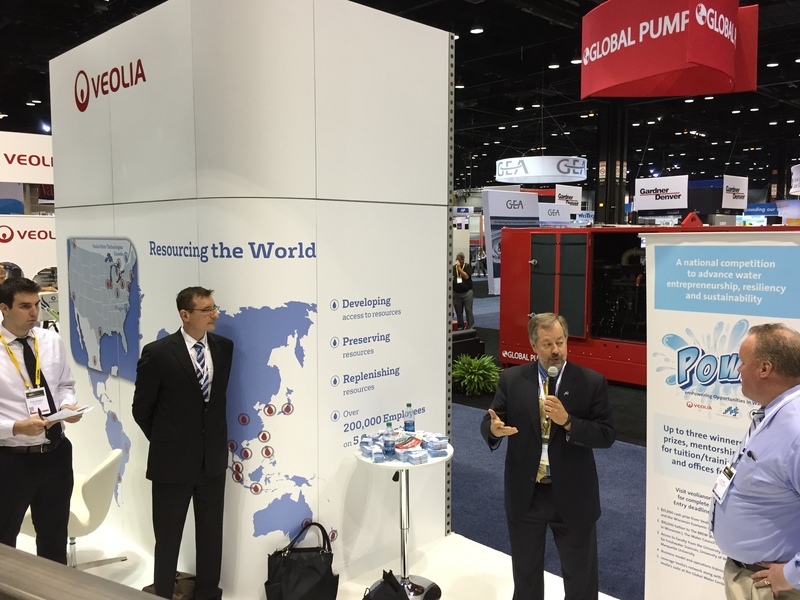 The Global Water Port, an online research and collaboration powerhouse, will launch during WEFTEC 2015! Stop by booth #455 to tryout the new platform. On Sept. 29 the Canadian Consulate General will host B2B meetings while three guest speakers discuss opportunities in their Canadian firms. Later, round out your day from 4-6 PM, with the Netherlands Consulate in booth #1472 for an afternoon reception. Stop by the French Pavilion in booth #250 to meet French companies seeking collaboration with North-American counterparts. Discover the latest in water technology with three sessions focused on the newest winners of the BREW accelerator: BREW Tank, BREW Showcase and CROC Tank in the WEF Innovation Showcase Pavilion. Join The Water Council’s Karen Frost as she moderates a discussion around fostering new water technologies at the Stormwater Pavilion on Sept. 29 at 11:15 AM. International visitors are encouraged to join The Water Council on Oct. 1, for a tour of the most densely populated Water Technology Cluster in the United States, Milwaukee’s World Water Hub. Stay connected with Wisconsin companies and Water Council Members by visiting Booth #455 and follow us on Twitter at @TheWaterCouncil #WisWater. Meet with some of the brightest water tech entrepreneurs, international groups and other prominent WEFTEC attendees on Sept. 28! Kick off your night, 5-6 PM, with valuable networking as The Water Council and Imagine H20 co-sponsor an evening reception in the WEF Innovation Showcase Pavilion. Looking for more WEFTEC sessions and opportunities? Download the WEFTEC App for a full list of happenings. In conjunction with its participation at WEFTEC®, the Water Environment Federation’s Annual Technical Exhibition and Conference taking place in Chicago Sept. 26-30, The Water Council will launch the Global Water Port (www.globalwaterport.com), an online research and collaboration powerhouse—and the most comprehensive water ecosystem of its kind—developed to enhance connectivity within the water technology sector and among those interested in finding solutions to water-related challenges. Through its partnership with the innovationExchange LLC and funded by a Regional Innovative Cluster contract through the U.S. Small Business Administration, the Global Water Port utilizes inno360, a cognitive intelligence and predictive research engine equipped with IBM Watson™. The Global Water Port is a great addition to the already vast pool of resources The Water Council offers to water technology business professionals, large water users, utility managers and academics. The Water Council and the innovationExchange first conceived the idea for the Port in fall 2014 as a way to dramatically increase and improve cross sector water-related collaborative research. Since then, the Global Water Port has gone through extensive development and testing to become a user friendly tool allowing participants to gain industry insight, pitch projects, find and create solutions, monitor innovations, connect with global experts and bring new ideas to life. “We are truly pleased to be partnering with The Water Council as the Global Water Port breaks new ground and allows individuals to connect, share and access the broadest landscape of relevant data and information in the water industry,” said Michael J. Turillo Jr, chairman and co-founder of the innovationExchange and inno360. By incorporating the latest social collaboration tools and access to the most relevant content including patent, academic and industry databases, the Global Water Port provides the water ecosystem with an unprecedented engine for learning and networking in our combined quest for innovative solutions to the world’s most pressing water needs. The Global Water Port will be available for test runs during the WEFTEC exhibition at McCormick Place in Chicago in the Wisconsin Water Innovation Pavilion (Booth #455). A live demo for the media will be presented on September 28 at 11:30 am CST at Booth #455. 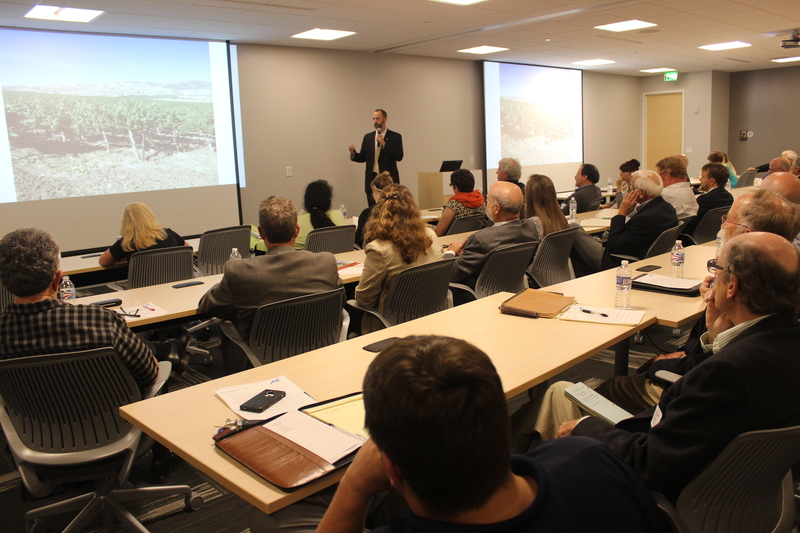 September 9th marked the third Quarterly Member Meeting of 2015! Through the course of the afternoon, attendees discovered new opportunities at WEFTEC 2015, learned about water stewardship, and met the new BREW Crew. Thank you to ABB in Wauwatosa, Wisconsin for hosting us! ABB, founded in 1988 in Switzerland, is now one of the largest global engineering companies, employing over 145,000 people worldwide. Their organization breaks down into five main divisions, power products, power systems, discrete automation and motion, low voltage products and process automation. Their second largest location in the United States is currently located in Wisconsin. 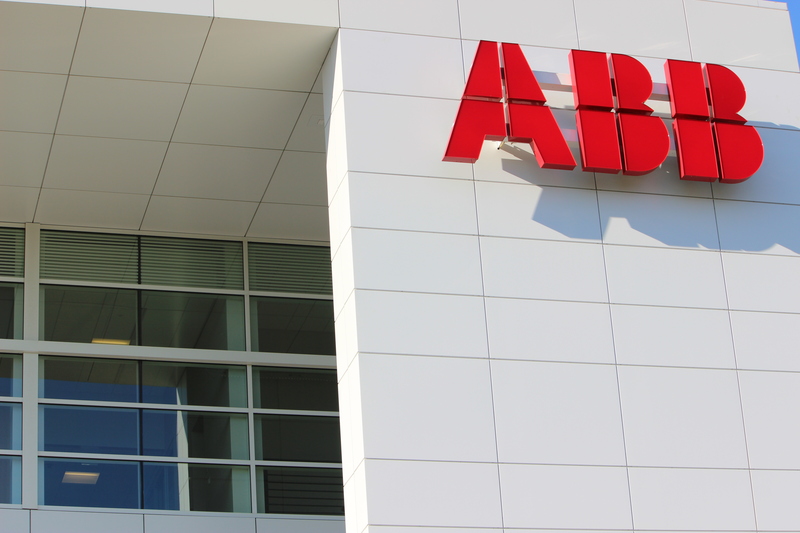 After their plant in New Berlin reached capacity, ABB decided to expand to the University of Wisconsin Milwaukee’s Innovation Campus with a new building to match the cutting-edge persona of their company. As a global leader in power and automation technologies, ABB is on the look out for new ways to refine their business and productions and saw a new building as the perfect opportunity. Their Wauwatosa location now holds a Gold LEED Certificate. The company works within the local footprint of Southeast Wisconsin and employs around 600 people within the state. As a ‘Megadrought’ looms on the horizon of the United States in the coming decades and Central California continues to pump ground water at increasing speeds, institutional investors are bringing up questions of water risk with large water using companies. Businesses are scouting for answers, and in the past year, 68% of companies reported water as a substantive business risk. Howard describes the AWS International Water Stewardship Standard as part of this solution. AWS’s multi-stakeholder organization is dedicated to enhancing water stewardship by working with companies to identify risks and act strategically, being proactive, and demonstrating leadership in water stewardship through the implementation of the Standard. Organizations interested in learning more about the AWS Standard and certification can discover more here. The Water Council has been working behind the scenes on a new look that is ready to launch this fall! Along with the re-branded Tide, The Water Council’s monthly e-newsletter and updated event registration, a new website is under way. Can’t wait for the official launch? Join us at WEFTEC for a sneak peak. 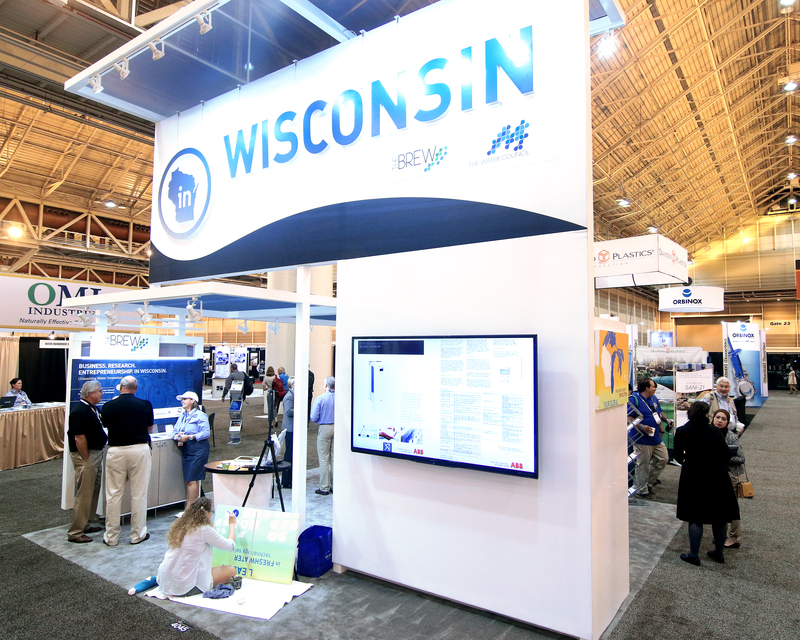 Meghan Jensen, Director of Marketing & Membership, discusses how The Water Council, in partnership with the Wisconsin Economic Development Corporation, is promoting the state’s strong business climate for water technology companies through the Wisconsin Water Innovation Pavilion at WEFTEC 2015. Join The Water Council and 36 other Wisconsin companies at the world’s largest annual water quality exhibition Sept 26-30 in Chicago. Learn more about the Wisconsin Pavilion here. Over the past few months, the Talent & Education Committee has been working on new methods of connecting interns with leading organizations in the water industry. 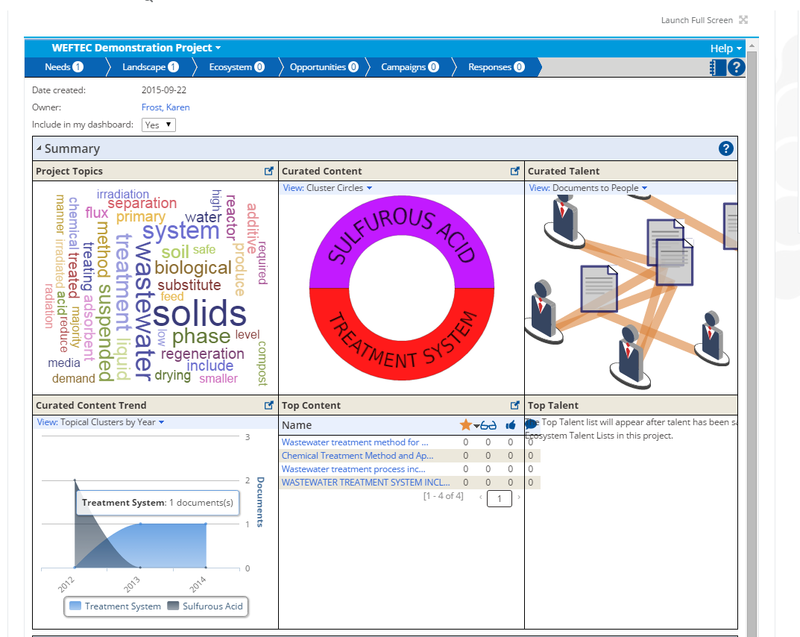 Sometimes finding the time to connect in a busy lifestyle can be difficult, but with Inspire, a new career and college ready software targeted for middle and high students, it no longer has to be. Connecting with students is now only a click away. Elizabeth Thelen, Director of Entrepreneurship & Talent, introduced our new group of global entrepreneurs in BREW Batch 3. 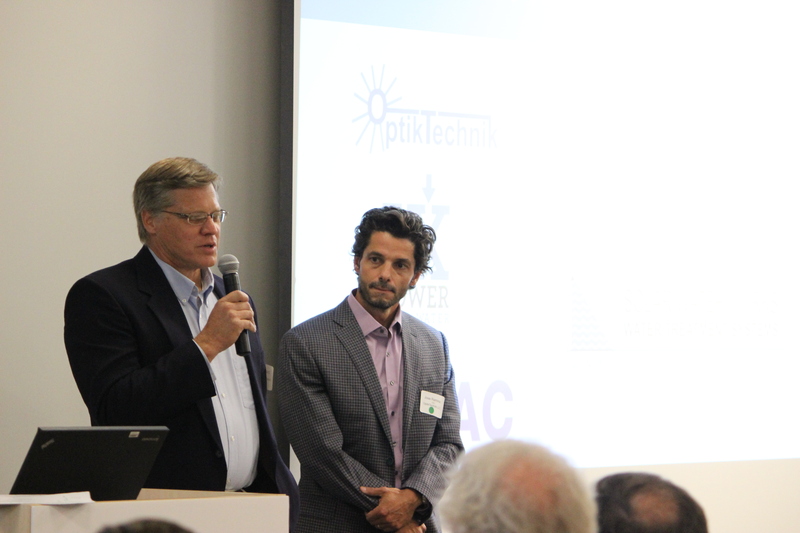 The six new participants are ICONAC, IX Power Clean Water, OXYMem, Radom Corp., Solar Water Works, and Optiktechnik. They have settled into the Global Water Center and are looking for ways to engage with members. Learn more about the new businesses here. Karen Frost, Small Business Program Manager, shared the new name of The Water Council’s program that works with small businesses. The “Small Business Channel” which was previously known as the “Center of Excellence for Freshwater Innovation & Small Business Development” provides resources and services to small and medium water technology businesses across the nation. A key component of helping organizations in our Water Technology Cluster connect with global businesses and talent is through the Global Water Port, the only tool of its kind—developed to enhance collaboration within the water technology sector and among those interested in finding solutions to water-related challenges. 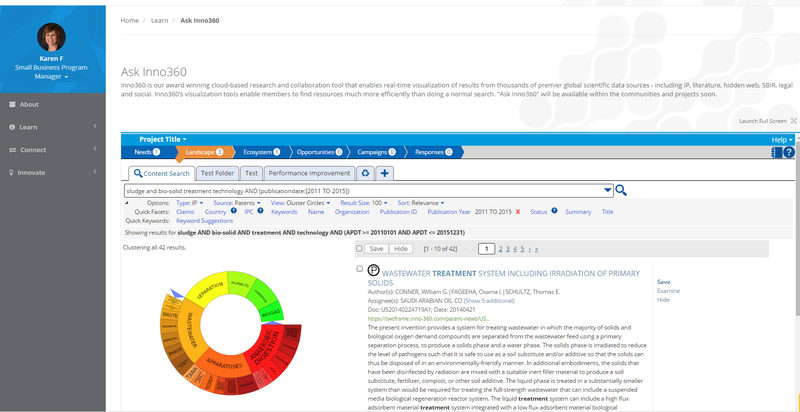 Stop by the Wisconsin Water Innovation Pavilion (Booth #455) at WEFTEC for a chance to test out the Port’s new features, including IBM’s Watson super charged search engine capabilities. A huge thank you to ABB for hosting another successful Quarterly Meeting! Save the date for our Q4 Member Meeting, December 9th, with more details to come! WEDC Secretary Reed Hall and Meghan Jensen, Director of Marketing & Membership with The Water Council, at WEDA’s 2015 Community & Economic Development Awards on August 20. The Water Council was delighted to receive the “Expanding Sector: Advancing Wisconsin’s Position in the World Marketplace” award from the Wisconsin Economic Development Association (WEDA) at the 2015 Community & Economic Development Awards Ceremony. This award category recognizes efforts at growing an existing or emerging Wisconsin industry sector. Through these efforts, the nominees are enhancing Wisconsin’s brand and advancing our state’s position in the world marketplace. Catalyst for economic development efforts at the local, regional or state level. Earlier this year, Wisconsin Governor Scott Walker reported a 7.4% increase in the exporting of water technology-related products, demonstrating a growing water economy in our state. Many of The Water Council’s programs and accomplishments to date would not have been possible without the support of our members and partners. Thank you for your dedication and leadership in the water technology industry! Congratulations to all of the 40+ winners and nominees of WEDA’s 2015 Community & Economic Development Awards, and an extra special thank you to the judges. It was a pleasure to be part of a wonderful and impactful evening celebrating Wisconsin’s best practices in economic development. The Japan External Trade Organization (JETRO) is now excepting applications from overseas companies to Environmental and Water Sector Business Matching Program in Osaka. Japan’s Kansai area, including Osaka, Kobe and Kyoto, is home to a number of Japan’s largest corporations and some of the country’s most innovative small & medium-sized enterprises. Cutting-edge manufacturing technologies combined with an ambitious entrepreneurial spirit have made Kansai a world leader in environmental and water sector technology. JETRO will organize individual business meetings between leading business entities from overseas and Kansai’s local companies in their respected field. This invitation program is organized by JETRO Osaka, with the support of the Osaka Prefectural Government, the Osaka Chamber of Commerce and Industry and the Osaka Foundation for Trade & Industry. To apply, complete the attached application by Monday, August 31, 2015. Applications should be submitted by email to Robert Corder at JETRO Chicago at robert_corder@jetro.go.jp. What past experiences drew you to The Water Council and your current role as the Director of Alliance for Water Stewardship-North America? My background in economics led me into the nascent field of sustainability early on in my career. My particular area of expertise focused on sustainability as a competitive advantage for businesses. As a result, I have been developing and managing sustainability programs at the national and local level for 10 years. When I moved to Milwaukee to accept the job as the City’s Sustainability Director, I was privileged to work with Mayor Barrett on Great Lakes issues through his involvement in the Great Lakes and St. Lawrence Cities Initiative. Leading the effort to develop the City’s sustainability plan (ReFresh Milwaukee which has a focus area on water) and my publication of North America’s first urban water system benchmarking report (Milwaukee’s Sustainable Municipal Water Management report) solidified my desire to move in a direction that would allow me to professionally devote my efforts to water stewardship and sustainability. I had always been impressed with The Water Council and its determination to establish Milwaukee as site of the world’s leading water cluster. When I learned that The Water Council was signing an exclusive partnership agreement with the international Alliance for Water Stewardship (AWS) to be their North American headquarters, I knew I had to be a part of it. What are you most looking forward to working on at The Water Council? I’m excited to be part of the all-star team Dean and the Board have put together. For me, being part of something at its conception with the AWS-North America is an amazing opportunity. But more importantly, knowing I have The Water Council team to fall back on for support gives me the confidence to go out there and try new things. This is an amazing time to be in the Global Water Center. Imagining what AWS, The Water Council and the Milwaukee region will be like in 5-10 years is very exciting to me. What would you like to accomplish in your new role? Who do you most look forward to engaging with (members, businesses, etc.)? 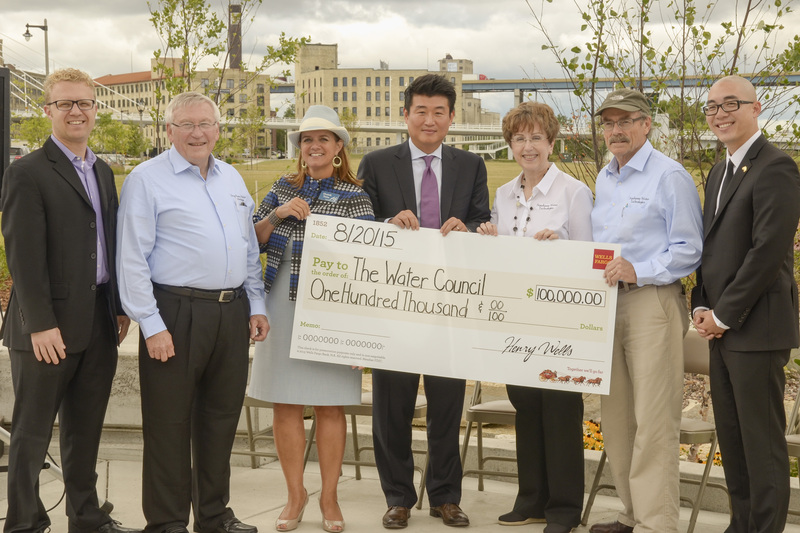 I’m eager to engage businesses that are seeking to enhance their water stewardship efforts. As we see in California and other water stressed regions of the United States, businesses must move quickly to mitigate their water-related risks but also invest in their communities and the health of local watersheds. 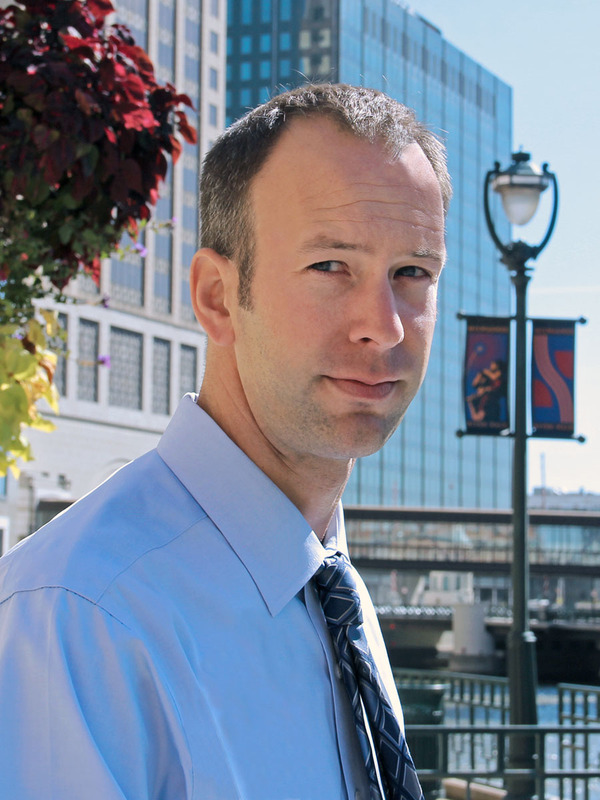 We see the positive economic implications (as well as social and environmental) of this type of corporate water stewardship right here in Milwaukee with the tremendous success of the Menomonee Valley redevelopment. I’m also excited to learn about and advocate for all the great things Water Council members are doing, dreaming and inventing. I know their products and services will reinforce the mission of the Alliance for Water Stewardship-North America. There’s so much happening at the Global Water Center the world has yet to know. I look forward to being a part of that story!